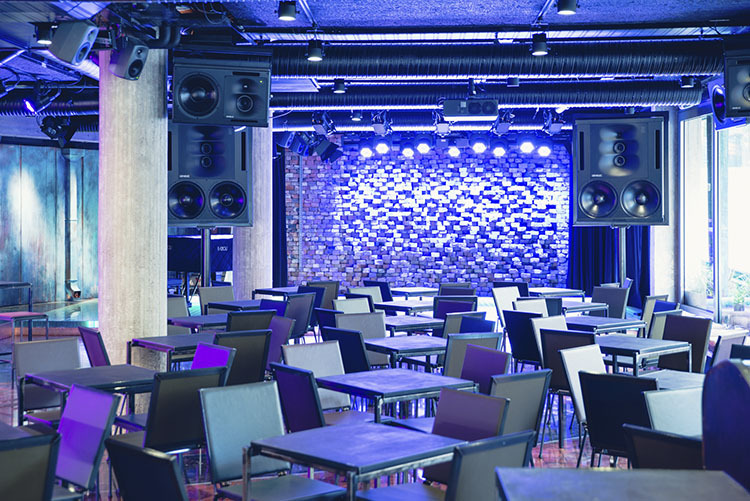 G Livelab is a stunning 150-seat venue in Helsinki which is designed to cater to all musical genres. 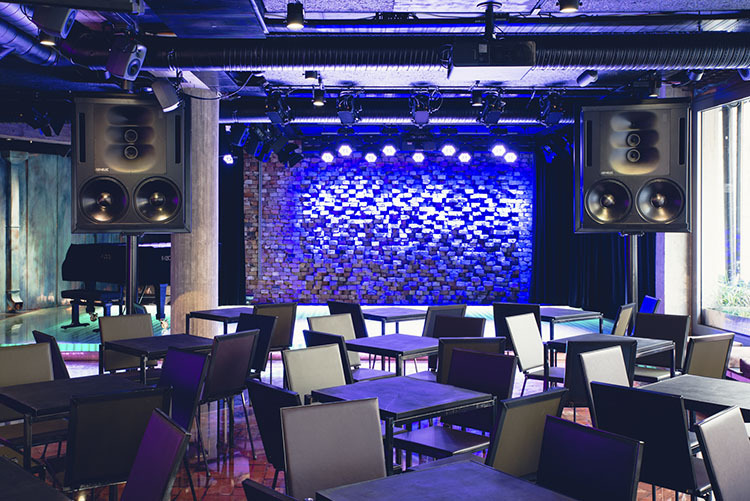 The venue is fully equipped with a one-of-a-kind Genelec sound solution, including the first Finnish install of the new 1236A SAM studio monitors, as well as the 8430A IP studio monitors, the first commercially available audio-over-IP studio monitor. Music professionals say they have never heard anything like it, with fine nuances of music delivered in amazing clarity, and made fully audible in every seat in the bar. 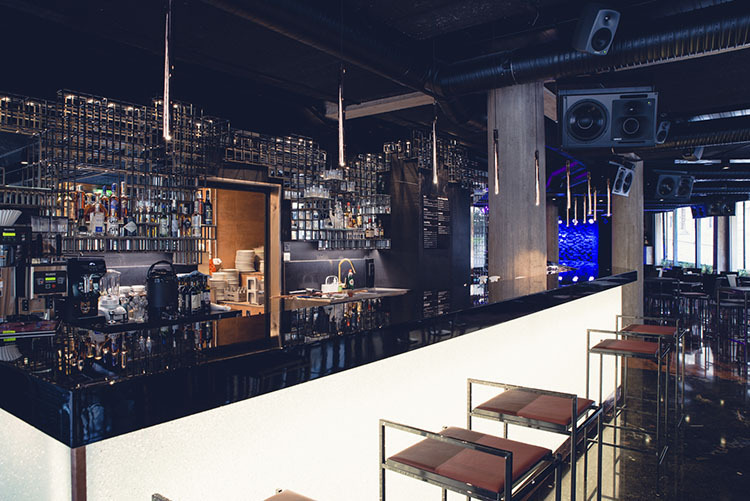 The virtual acoustics system at G Livelab – installed by Bright Sales & Installation Oy – is unlike any other in existence. The bold, innovative system consists of 40 Genelec 8430 IP SAM loudspeakers, eight of which are on the stage area and 32 in the audience area. The system takes input from six microphones in the ceiling of the stage or from the stereo auxiliary output directly from the desk. Thus, the virtual acoustics can be used with purely acoustic acts, but also with amplified acts together with the normal PA system. The reverberation can be adjusted so that the space sounds like anything from a bar environment all the way up to a cathedral. The levels of reverberation on the stage and in the audience area can be separately adjusted to optimise both the support for the musicians and the spatial sound for the audience. The ‘Lokki’ virtual acoustic system was designed by Tapio Lokki, professor at Aalto University. 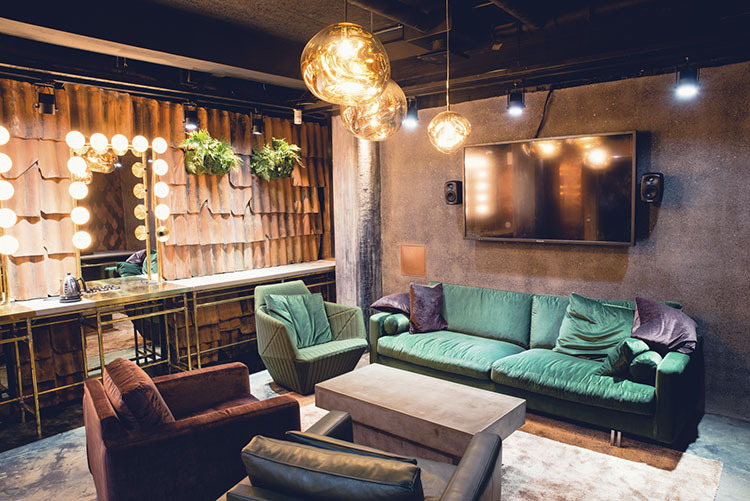 Bright also installed the lighting technology, with the stage area delivering a ‘wall of light’ effect with 10 Ayrton ROLLAPIX fixtures, accompanied by a flexible, atmospheric setup in the seating areas, bar and toilets, utilising 84 TDE Moodspot RGBW lighting fixtures. The end result is a simply outstanding and truly unique venue which delivers sound like no other. The flat, neutral response is perfectly complemented by the venue’s stylish urban interior designed by Marco Casagrande, and incorporates urban materials into its stylish design. 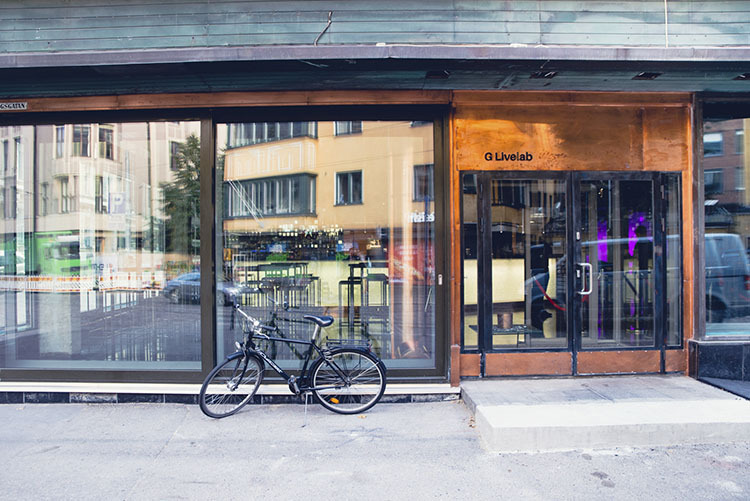 G Livelab proudly sits within the rich cultural landscape of Helsinki, and makes a special contribution to its vibrant music scene.